So I needed something on my big, white, blank wall in our breakfast area. I didn’t want to spend a lot of money, but it needed color and character. I found this picture on Pinterest that I loved. 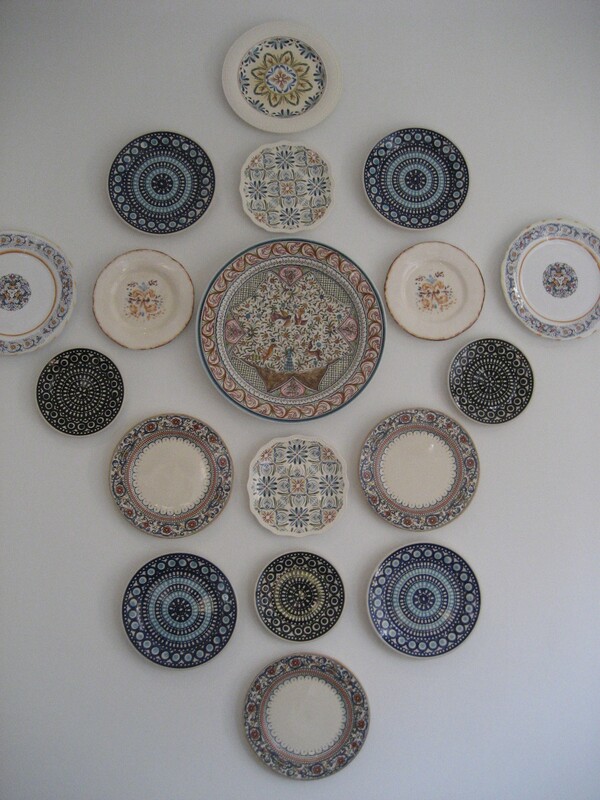 I thought it might be difficult to find so many plates that fit together. It really wan’t. 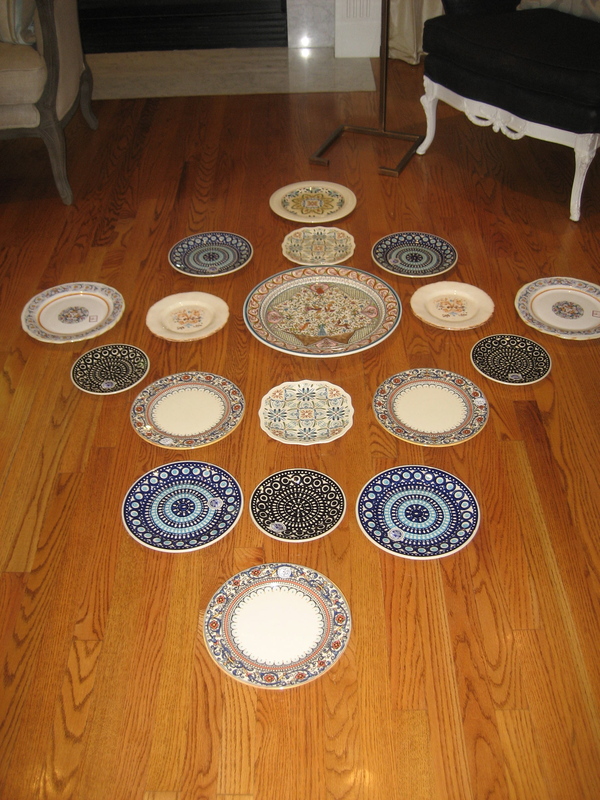 I shopped around and found plates for reasonable prices at TJ Maxx, Dillard’s, and Pier 1. I laid out my pattern on the floor. I had to take about 6 plates back. I just had too many for the design and the wall. 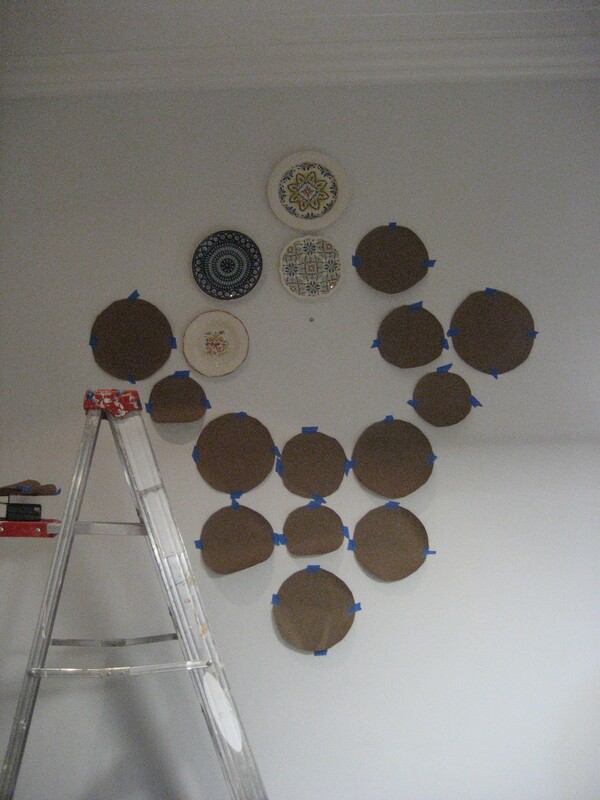 Then traced and labeled all the plates so I would have a template for the wall. Thank you to my sister for climbing the ladder, so this pregnant lady wouldn’t have to! Then I put on the Dischangers. 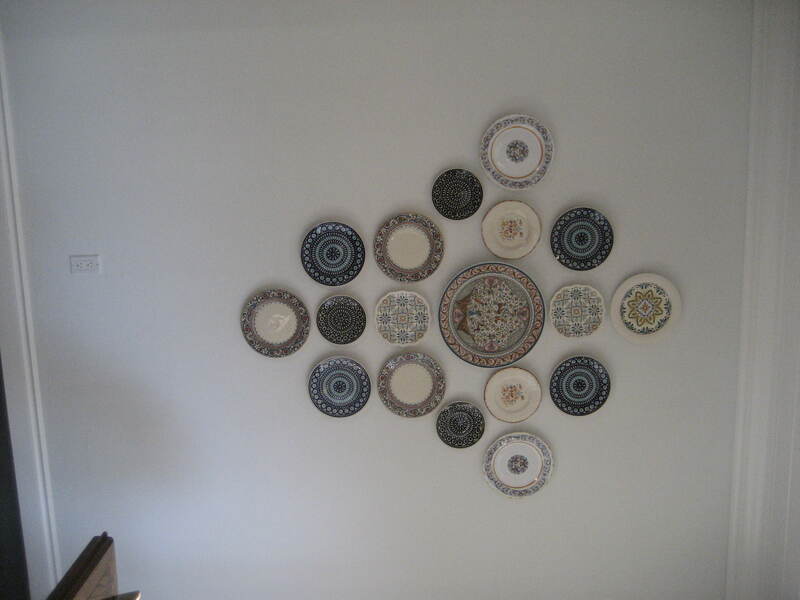 I googled and searched Pinterest for ways to hang plates. Everyone said these worked great! They are very reasonable. 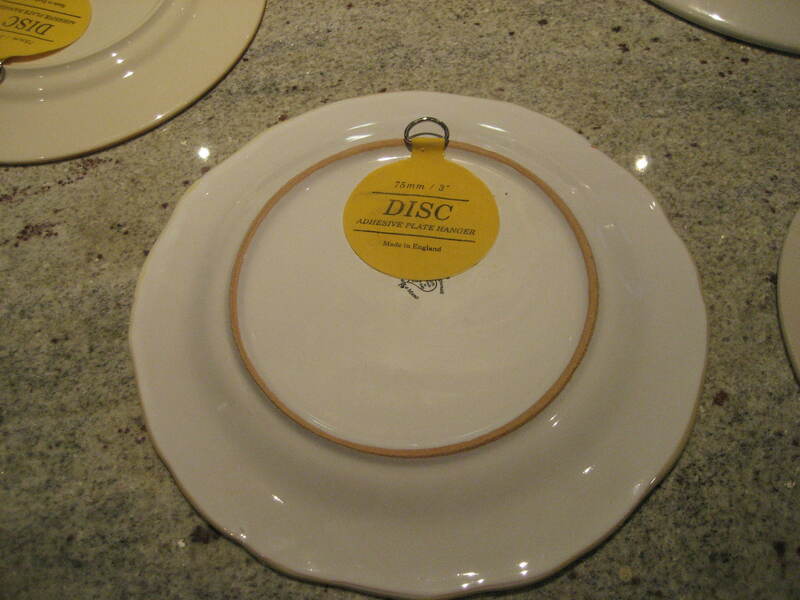 I hated those old wire plate hangers. They are so difficult to attach. These are permanent, but that’s okay with me. They work wonderfully! We measured how far down the hook would be and put our nail into the paper template. 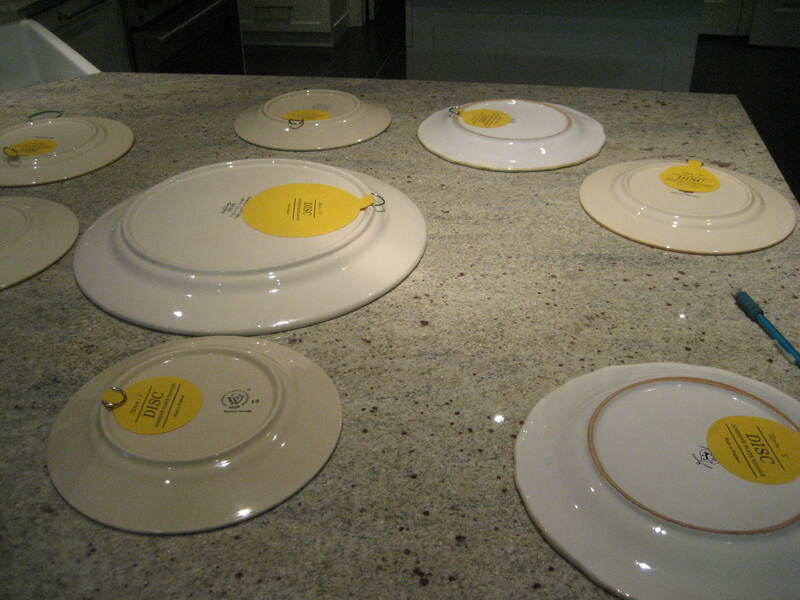 Then hung the plates! I’m really happy with this look. 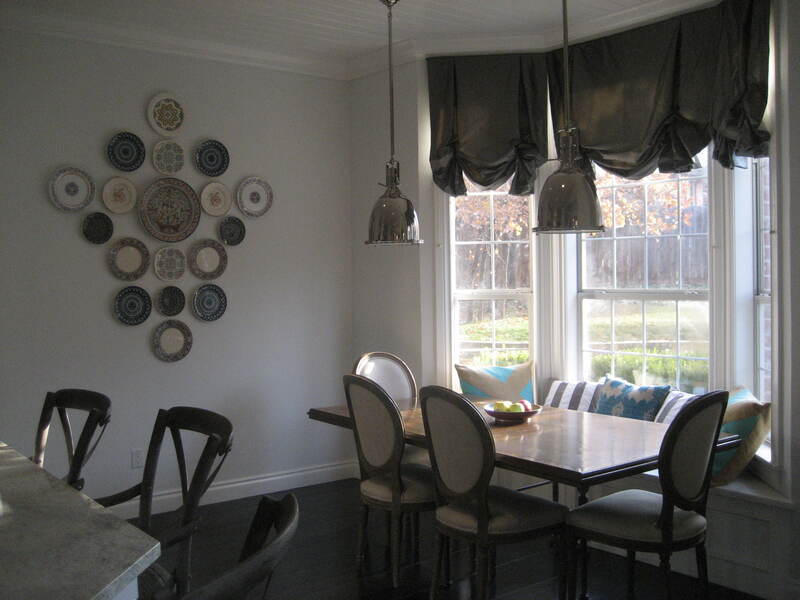 I think it looks really cute with the new window seat pillows and the colors in the family room.